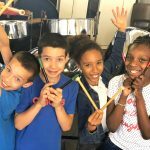 We offer the full range of steel pan musical instruments, from affordable starter sets for schools and community to professional chromed instruments for the discerning steel pan musician. The range of flexible starter set packages come complete with stands, cases and sticks as part of our affordable packages. Your musical instruments can be finished in a colour of your choice or chromed for a high shine professional look. Our steel pan starter sets are delivered fully tuned and ready to play. We also supply made to measure racks to maximise on storage along with guidance on how to set up a steel band for your school or community. 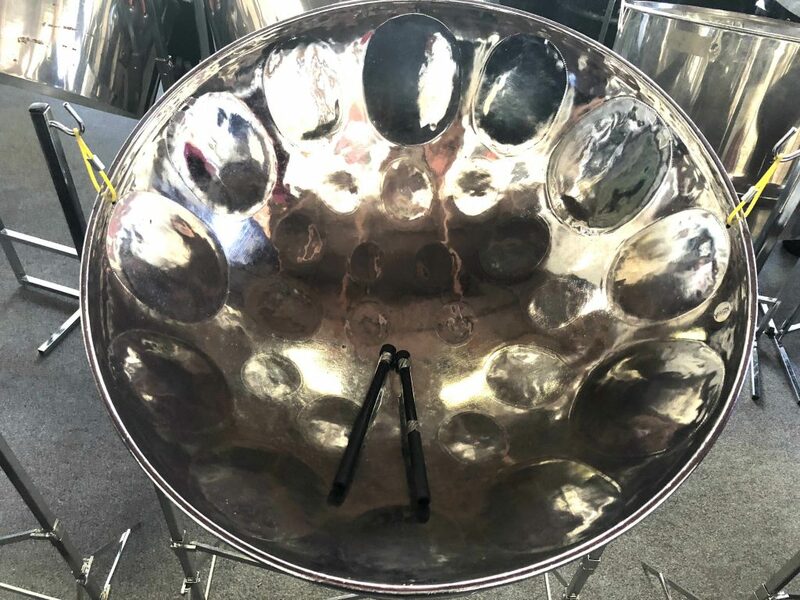 Our steel pan instruments are of the highest quality sourced from authentic steel pan makers and tuners in the UK and Trinidad, the birth place of the steel pan. 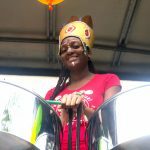 A steel pan is a definite-pitch, acoustic, percussion instrument originating from Trinidad in the Caribbean. The steel pan family, like all other families of musical instruments including the voice, covers a wide range of notes. Each instrument has a different role similarly to the instruments in a classical orchestra or jazz band. It consists of a circular playing surface made from steel stretched into a concave shape that is attached to a hollow, cylindrical resonator called a skirt. The steel pan is typically recycled from a 55 gallon oil drum. This surface is optimised into a number of isolated convex sections called notes. The instrument is usually played with hand-held, rubber-tipped sticks. The steel pan is unique instrument classified as either a membranophone – striking a stretched surface like a membrane, or an idiophone – solid surfaces striking against each other. 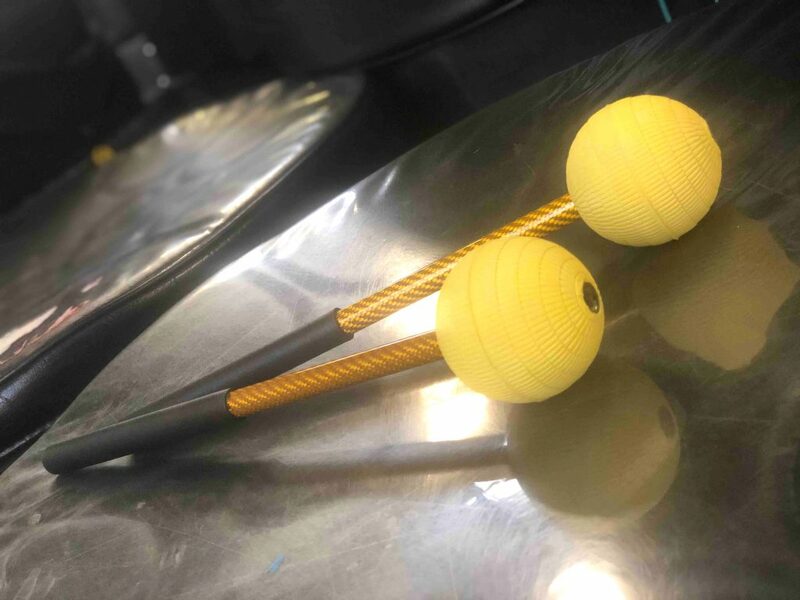 It is the only hybrid percussion instrument in existence today. Our knowledgeable experts will guide you through the process of purchasing your new instruments, from choosing the right options for your needs, to delivering and setting up your new acquisition. Double Tenor Pan – next highest range, comprised of two barrels. May play the melody, or a harmonized version of the melody, or may ‘strum’ chords beneath the melody. Double Seconds Pan – slightly lower than the Double Tenors, also comprised of two barrels. Often strums chords, but may play melody, harmony or other parts of an arrangement. This is the instrument favoured by many solo (unaccompanied) pan artists such as Robert Greenidge and Len ‘Boogsie’ Sharpe. Guitar pan – made up of two pans with less notes than the double seconds. Used mainly to strum chords or play the harmony horn section. Cello pan – usually three (also known as Treble Guitars) or four barrels (also known as Tenor Bass), set in a semicircle, comprise this instrument. These fill a variety of roles in a steel band, ranging from bass lines, to strums, to the melody. Quadrophonics – a sister instrument to the ‘cello pan; however, rather than having the drums arranged side-by-side in a semicircle, two of the drums are set flat in front of the player, while the two remaining barrels are set vertically. Bass pan – as the name would indicate, the lowest-ranged instrument in the steel band. Due to the size of the notes used on this instrument, there may be as few as three different pitches on each barrel, requiring the use of six, eight, or even more barrels to complete a single instrument. The traditional role of this instrument is bass lines, but arrangers such as Cliff Alexis, Ray Holman, Robert Greenidge, and Len ‘Boogsie’ Sharpe (among others) will often assign the melody or countermelodies in the bass instruments, at some point in their arrangements. 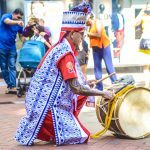 Steel bands are tradionally embellished with a rhythm section (known as an ‘engine room’), including drum kit, congas, iron (brake drum), cowbell, maracas, tambourine, woodblock and any other percussion instrument which suits the arranger’s purpose. Do you want to buy your own set of steel pans? 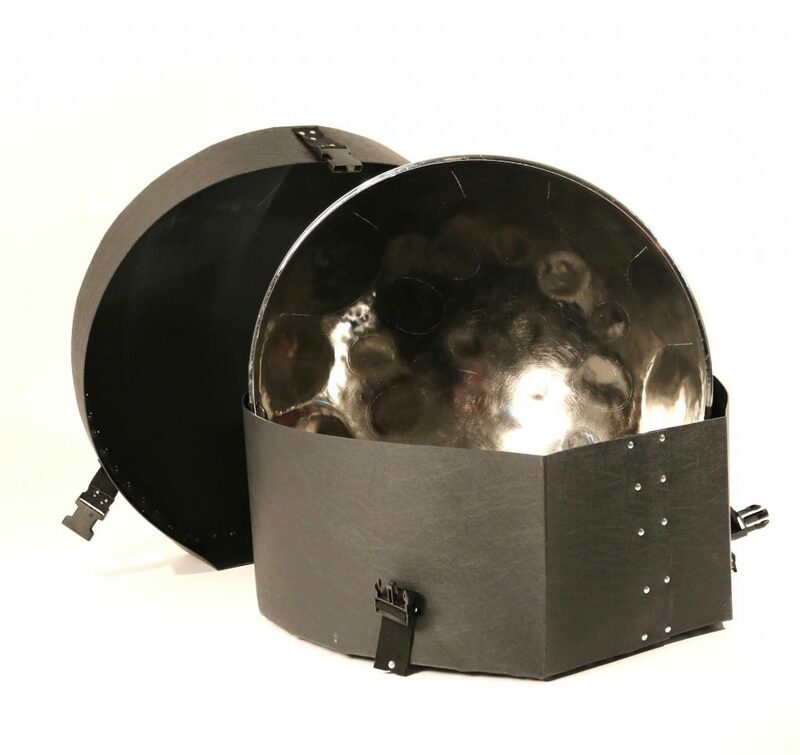 You can purchase the full range of steel pan musical instruments here. From affordable starter sets for schools and community to professional chromed instruments for the discerning steel pan musician. Go to our shop to order or contact us for enquiries.